Percolate recently announced their first ever open air party. Taking over a never before used space in Stratford on Saturday 29 July 2017, Percolate will lean on their experiences of curating parties up and down the country, whilst taking inspiration from the European culture of open air events that provide a high-end, back-to-basics ethos. The Percolate ethos has music as its beating heart and handpicked to take over the two stages will be: Pampa Records owner DJ Koze, Hotflush head-honcho Scuba, and a special back-to-back-to-back set that's being kept under wraps for now. 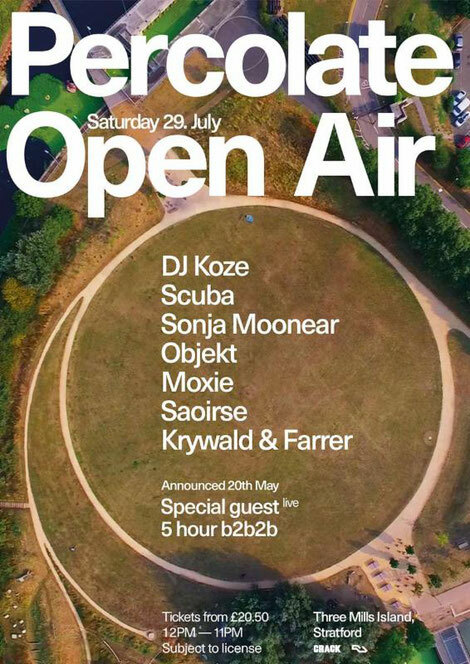 The bill will also see sets from Sonja Moonear, Objekt, Moxie and Saoirse plus Percolate residents Krywald & Farrer. Founded in the 12th century, Three Mills Island is amongst the earliest and largest tidal mills in the world. 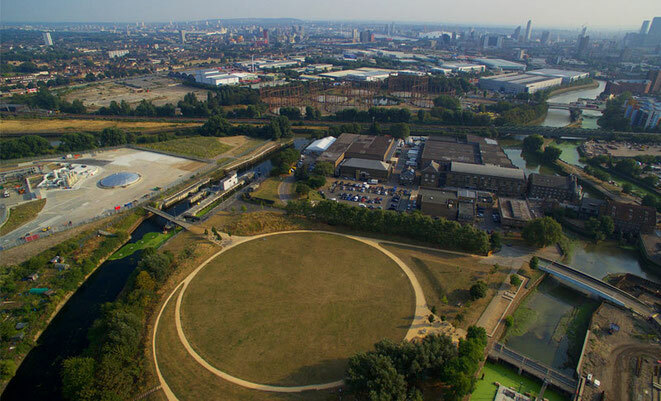 Once used to grind corn for gin production, the island is partitioned from the mainland by the River Lea and Prescotte Channel, creating an exclusive and detached feel to the festival site, whilst also benefitting from excellent transport links on the District, Central, Overground and Hammersmith & City lines via Stratford and Bromley By Bow stations.